Shop Hosa GPR123 RCA to 1/4 Inch TS Adaptors 2 In Box from AMS and enjoy Fast & Free Shipping. Easily convert dual RCA cables to right angled 1/4 inch connectors for easy access to inputs and outputs in areas with little clearance. 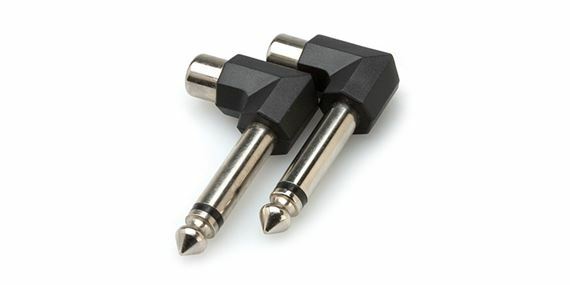 Perfect for connecting keyboards, DJ gear, or turntables to a stereo 1/4 inch input, these adaptors are a must have for many applications and are good to have around when you need them.